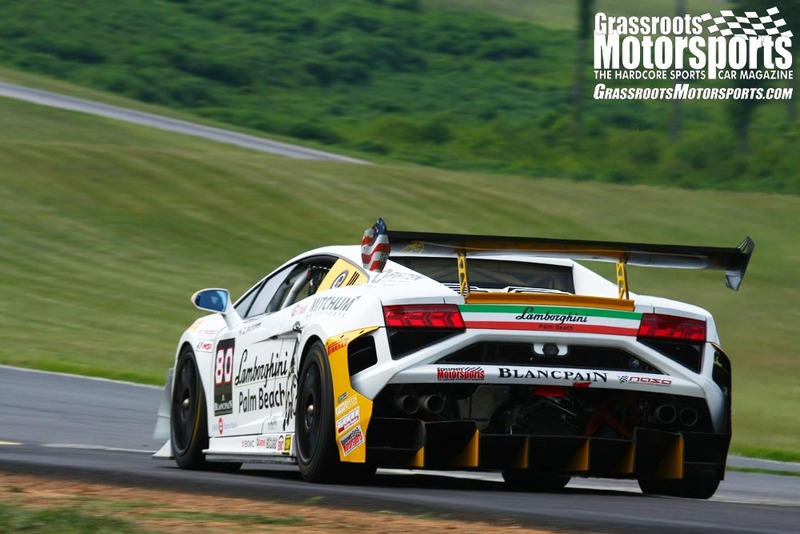 What makes brake plumbing such a headache? 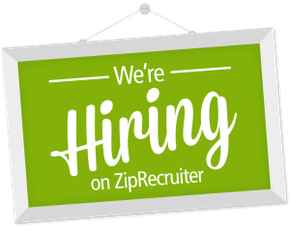 We strongly believe it’s the quality of the tools. 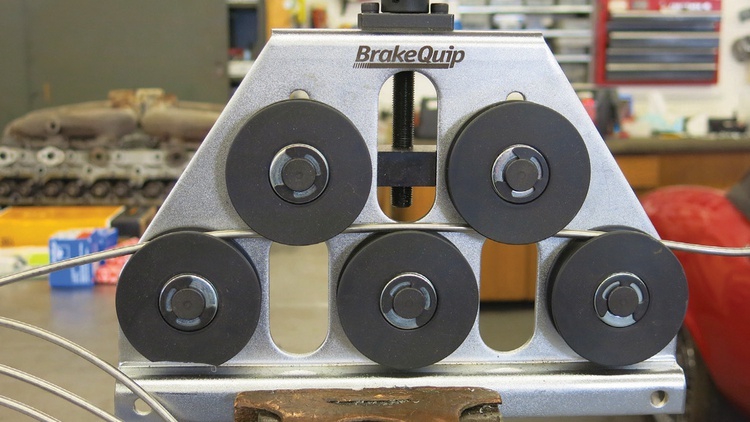 Most brake tools are just junk, and junk tools create junk results. It’s just that simple. 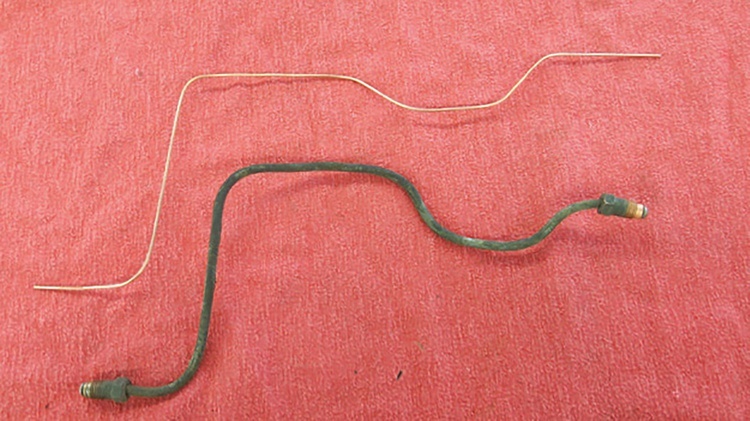 We’ve successfully bent up hundreds of brake lines over the years. Our main secret? We don’t use bending tools. Instead, we’ve invested those funds in a high-quality flaring tool. 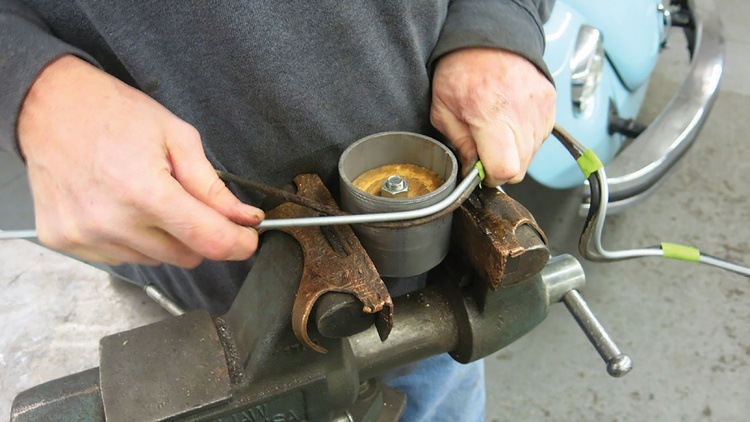 To learn the rest of our secrets, just follow along as we make a brake line for one of our project cars. 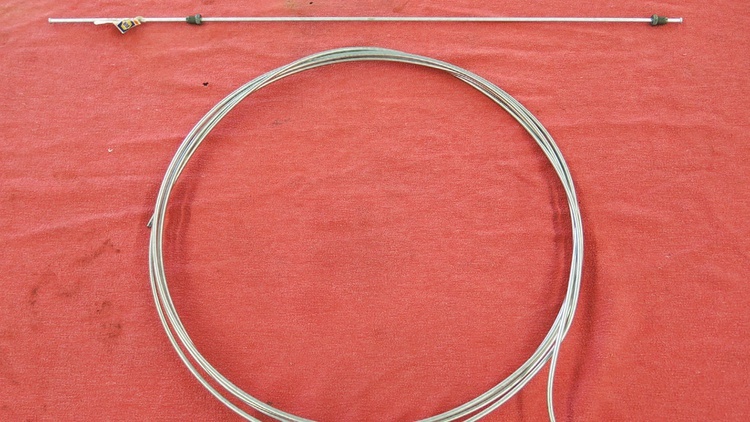 When we’re tackling a big job, we buy our brake line in bulk coils of 25 or 50 feet. We often choose stainless steel for these projects instead of the plated mild steel that’s available in the straight sections. Not all stainless lines are created equal, so we’ve settled on Classic Tube as our go-to source. Their lines are annealed for easier bending. Here’s another big secret: Always work from a pattern. If we have an old line to copy, that’s the easy button. 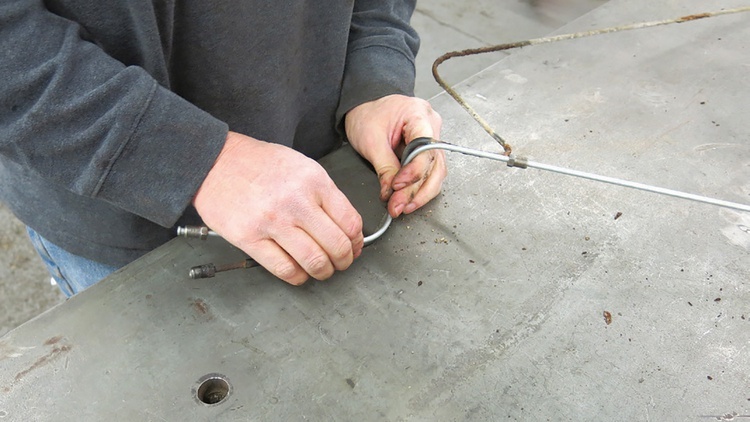 If we don’t, we make our own pattern, usually out of 1/16-inch welding rod. For this replacement, we started with a 60-inch line sourced from our local NAPA store. Using the old line as a reference, we made our initial bends by hand, working from one end to the other. This photo reveals two more tricks. 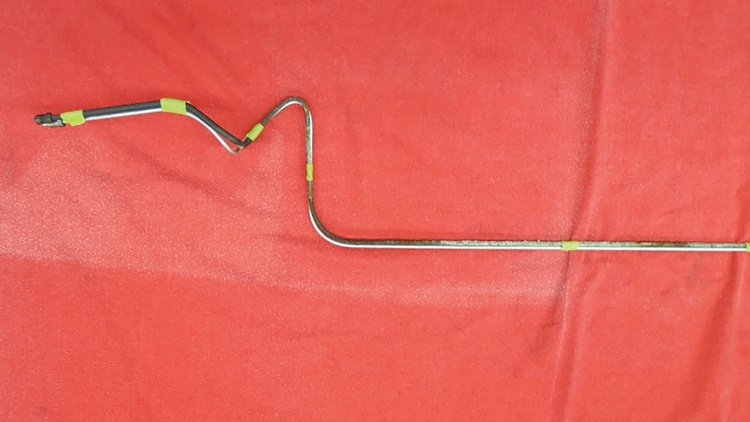 Secret 3: Instead of using a tool, we simply bend the tube around a found object that happens to have the right radius. 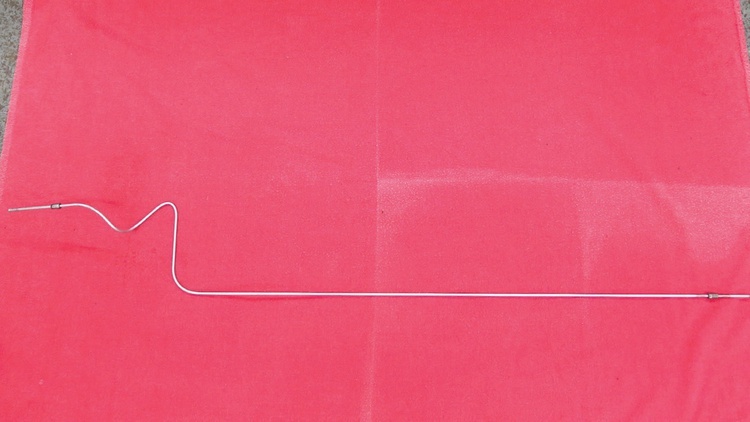 Secret 4 solves what we believe is the biggest brake plumbing issue for most people: As we move along the line to make new bends, we tape it to the old line. This keeps it from twisting and losing its 3D reference. 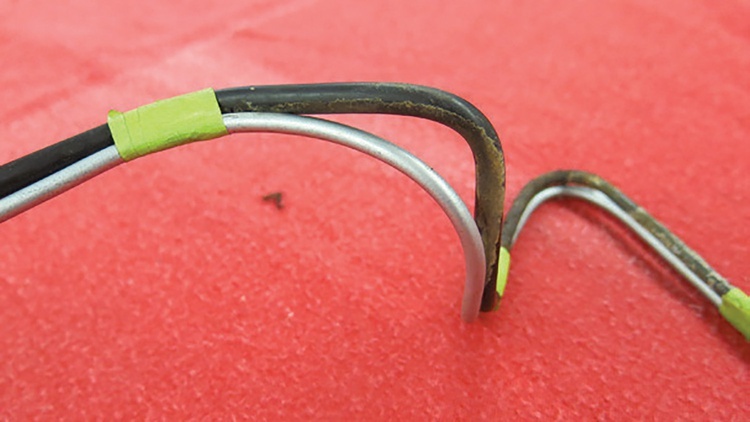 Moving down the line, we continue to use found objects as bending tools. 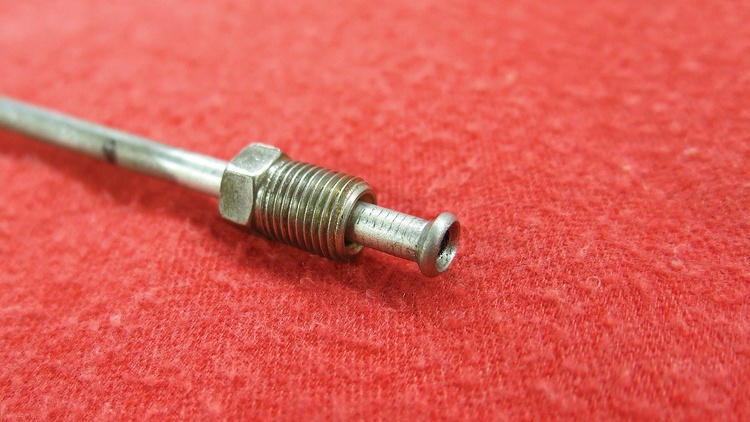 In this case, it’s a cast-off piece of 3-inch-diameter tubing. Secret 5: Whenever we just can’t perfectly duplicate a bend, we stray from the pattern a bit. For example, this tight radius just wouldn’t bend nicely, so we made it larger. Note that we still brought the line back into the correct position before the next bend. How did we know we couldn’t achieve that tight radius? Secret 6: We tried it on a test piece first. Practice and mock-ups make perfect. Our new line is officially bent. Now the straight part just needs a fitting and a flare. 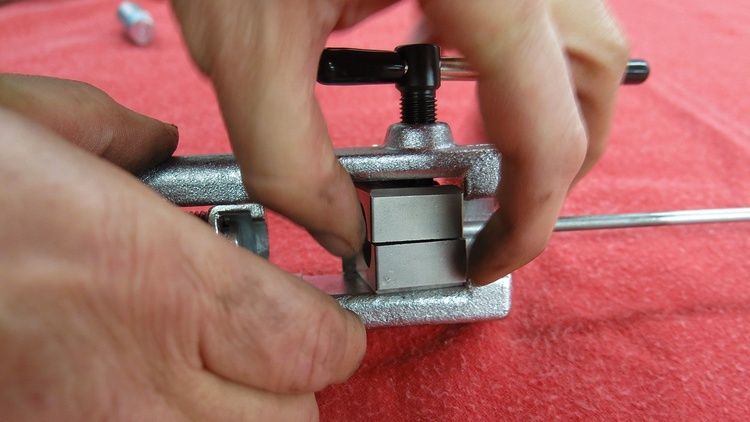 Before we pick up our flaring tool, we remember to install the fitting, using some tape to secure it. We won’t mention how many times we’ve flared a line and then realized we didn’t have the fitting in place. So maybe this qualifies as Secret 7: Don’t forget the fitting first. 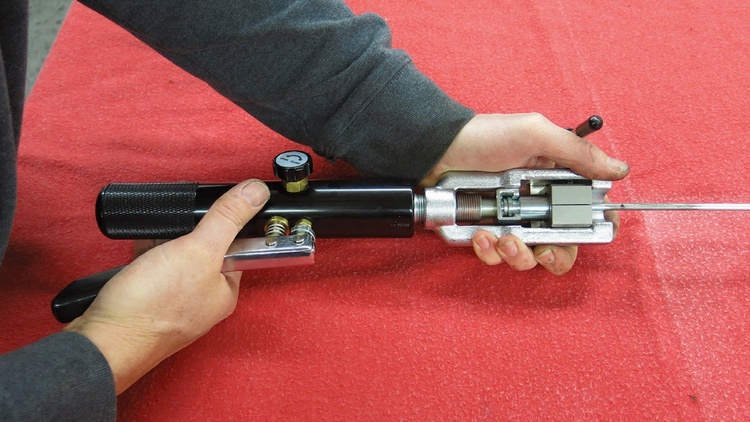 Our flaring tool of choice is Classic Tube’s Universal Hydraulic Flaring Tool Kit. 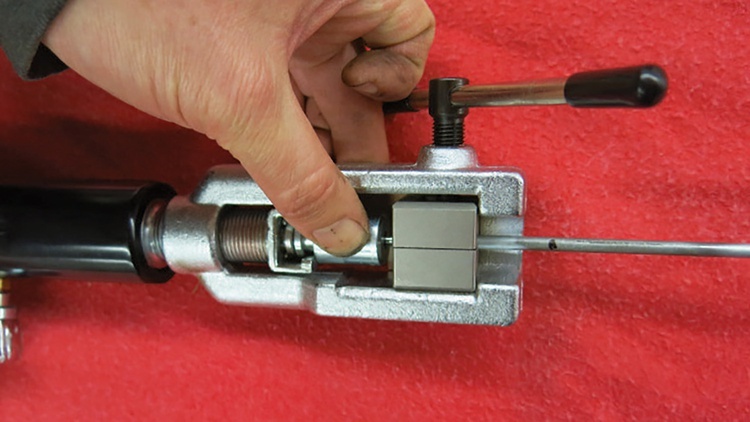 We start the process by using the 3/16-inch holding fixture to clamp our line. The fixtures will move a bit, so it’s important to accurately line them up. 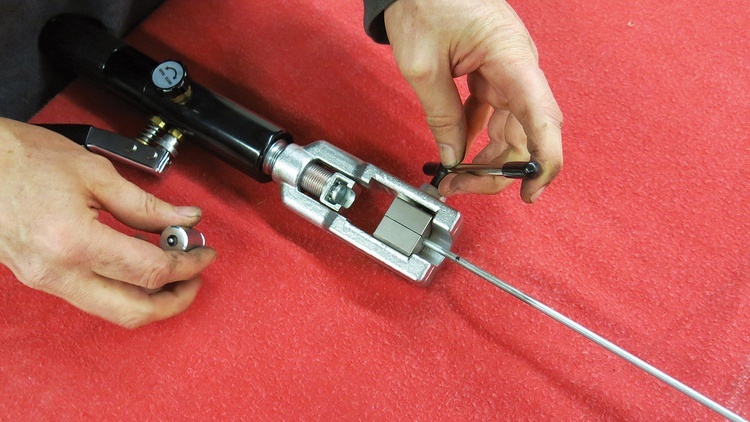 That’s Secret 8: Be very fussy and compulsive with your flaring tool. This is especially important if you can’t afford a high-quality tool. 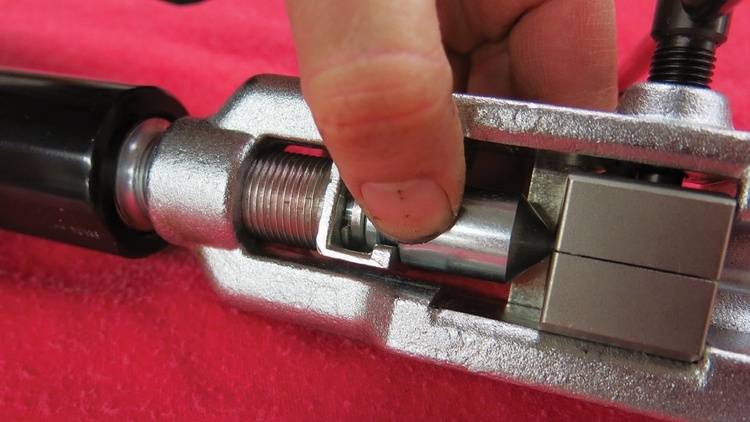 Cheap tools will work okay if you’re finicky (and don’t mind redoing things a few times). Once the fixtures are lined up, we clamp them in place. We insert the first die into the tool. This die flares the inside of the line. The hydraulic pump presses the die on the line. We insert the second die and again pump the tool. This die adds the final shape to the flare. The result is a perfect flare that won’t leak. And the finished line is ready to go in the car. We’ve tried and tested a pile of bending, cutting and flaring gadgets over the years–and we’ve retired almost all of them. Let’s separate the useful tools from the junk. 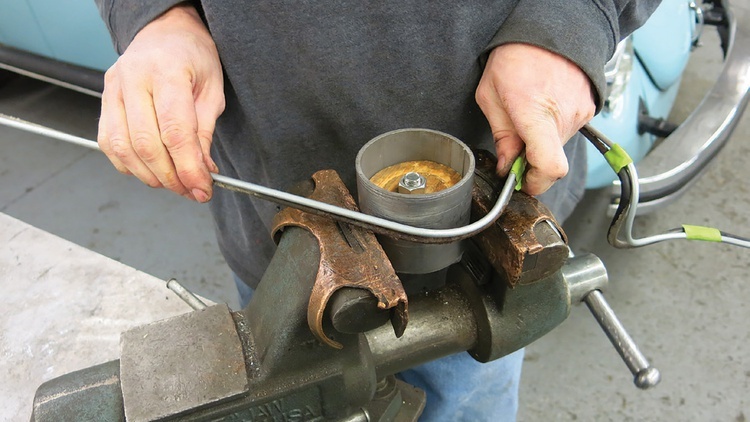 Most bending tools feature a grooved radius, a clamping bar and a moveable bending arm. 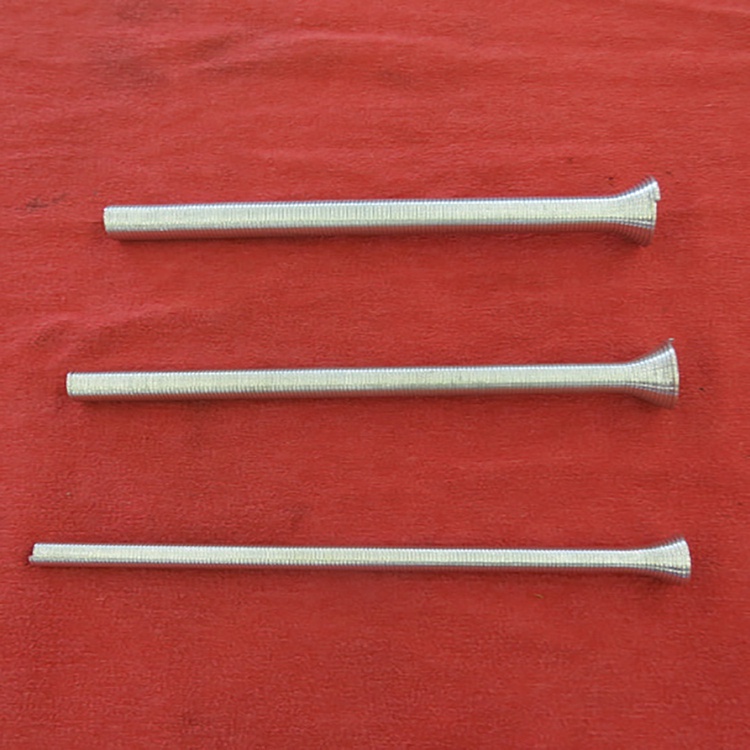 The main issue: Each tool can bend line to a single radius, meaning multiple benders are needed for bends of different sizes. Plus, in our experience, the low-end tools tend to break quickly. That’s why we usually bend our line around found objects that happen to have the correct radius. 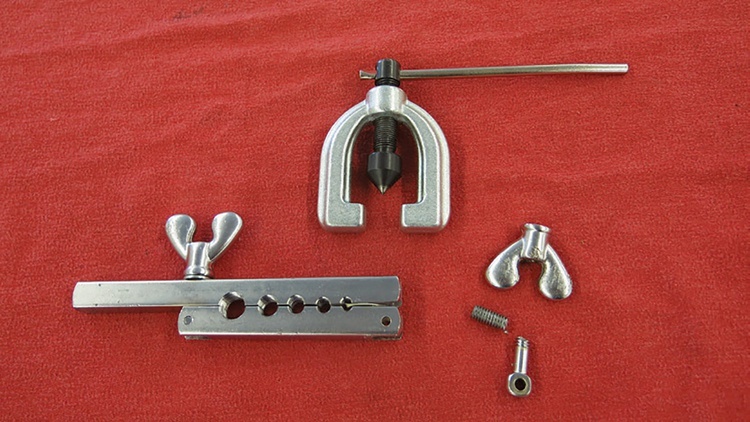 Another style of bending tool uses a spring: The line fits inside, allowing the tool to work like an external mandrel that keeps the line from collapsing. These benders tend to be even less useful than the grooved radius variety, but every now and then one will bail us out. 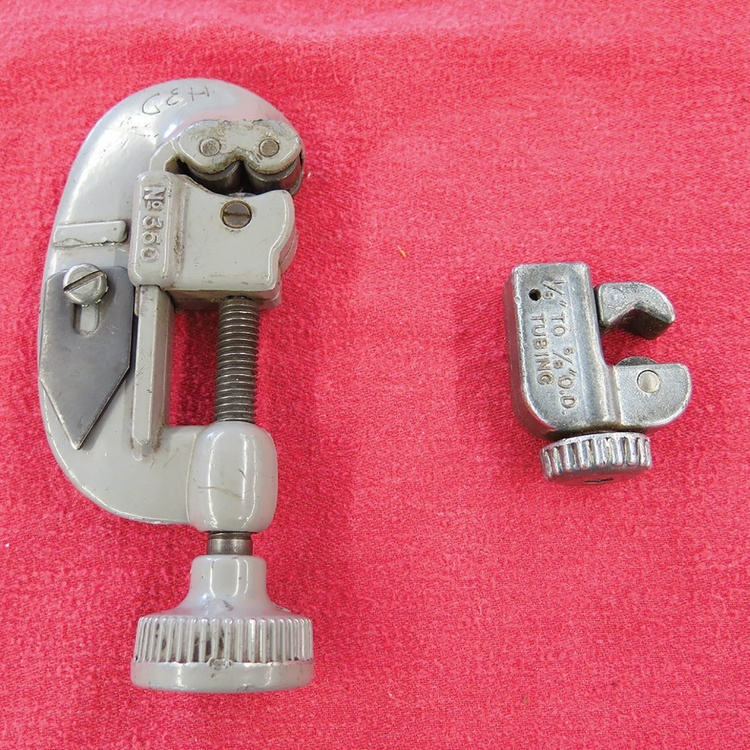 Our favorite bending tools are found objects with useful radii. 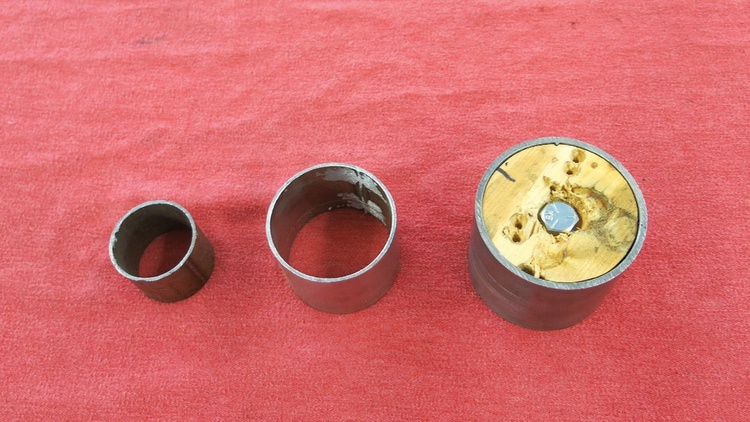 In this case, our radius die is just three tubing cutoffs. We’ve also used steel bars, hammer heads, fire extinguishers and welding tanks. 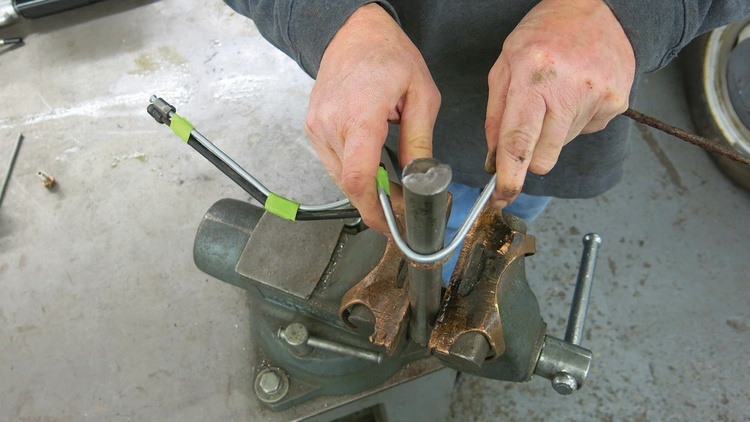 The larger tool is our tubing cutter of choice, while the little one works best for tight spots. Some people advise against tubing cutters because they can work-harden the end of the line and make it more likely to crack when flared. Instead, they advise using an abrasive cutoff wheel. We’ve tried it both ways and have stuck with the cutters. You’re going to need to put an end on your new lines, and having the right setup is essential. 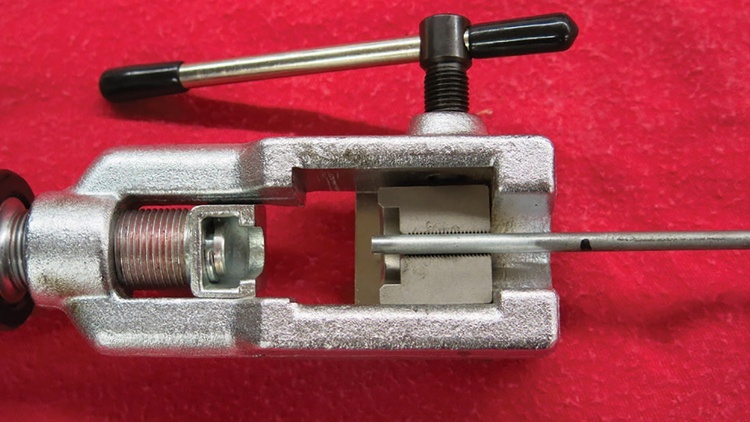 For regular brake likes, you need a double flaring tool that makes 45-degree flares. 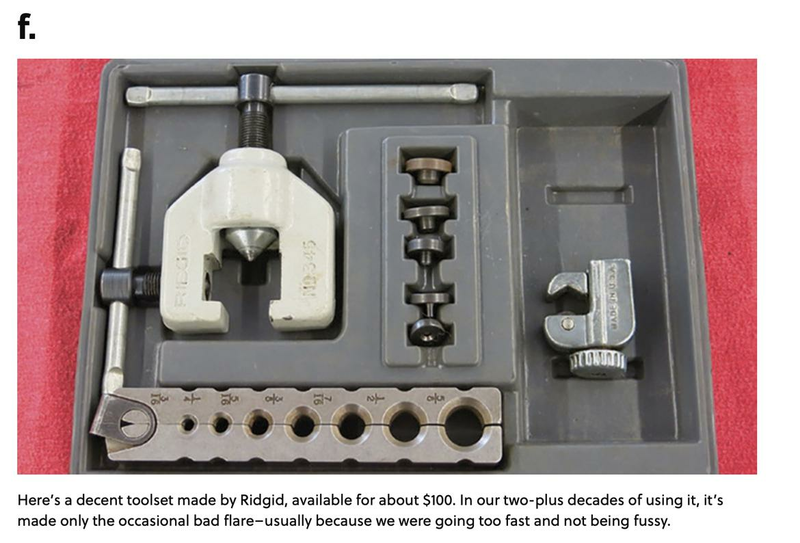 (If you’re working with AN fittings, you need a single flaring tool that makes 37-degree flares.) These 45-degree tools range from cheap to decent to excellent. The cheap ones can be found for as little as $10 and are hard to use successfully. Common issues are slipping lines, uneven flares and self-destruction. 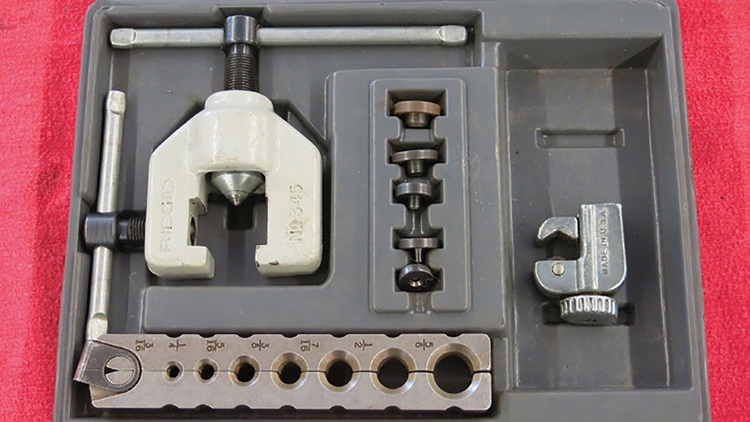 Here’s a decent toolset made by Ridgid, available for about $100. 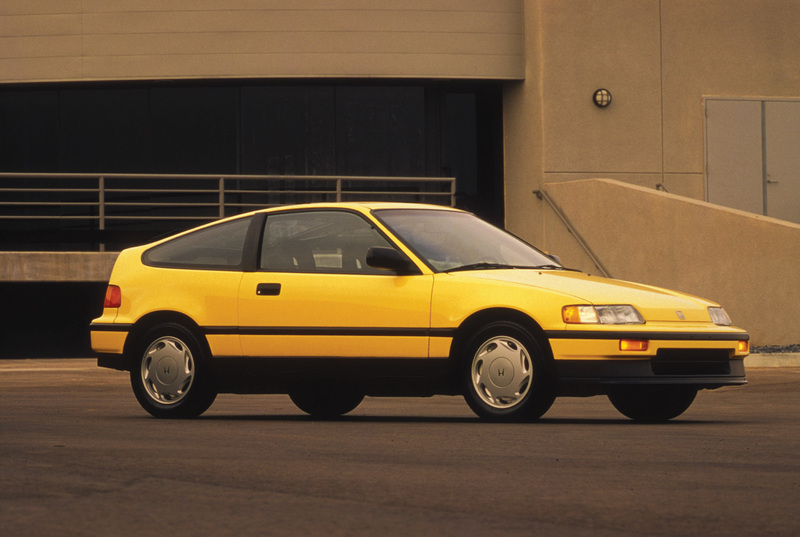 In our two-plus decades of using it, it’s made only the occasional bad flare–usually because we were going too fast and not being fussy. We recently stepped up to this Universal Hydraulic Flaring Tool Kit from Classic Tube. 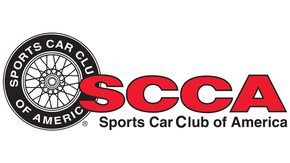 At about $400, it’s an investment, but in addition to high-quality brake flares, it can make barbed flares for fuel lines plus metric bubble and even O-ring flares. 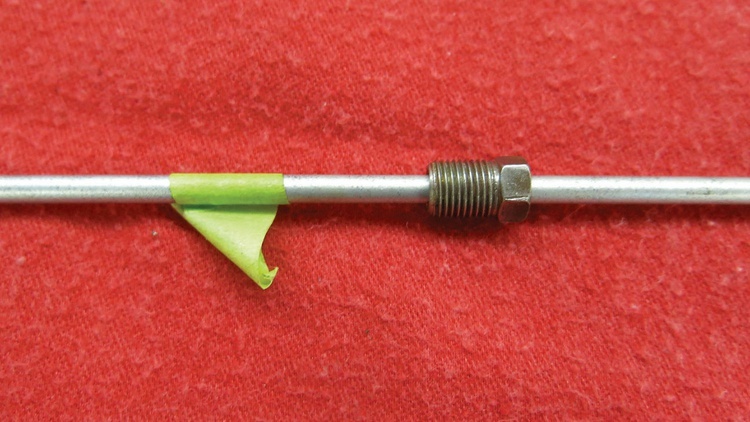 This tool can also flare a line in position; most others require removing the line from the car and placing it in a vise. 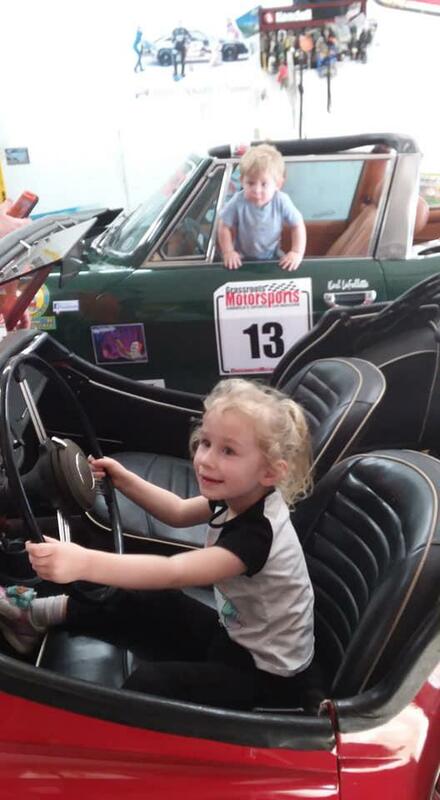 Copies of this tool kit are available for a bit less, but we chose to get ours from Classic Tube because they’re a trusted supporter of the car hobby. We also recently upgraded to this bonus tool: a tubing straightener from, yes. Classic Tube. It’s another investment at $189, but it makes quick work of straightening tubing coils and delivers very professional results. No more slowly straightening lines with our thumbs. I know good tools are useful and last a while but; what would you suggest in lieu of the really nice looking $450 dollar hydraulic flaring tool I'm only likely to use for 3 or 4 jobs? Carl's recommendation is listed in the article. Item f.
Woops. Read the main body, went back to look up the tool, got sticker shocked, and didn't scroll down. 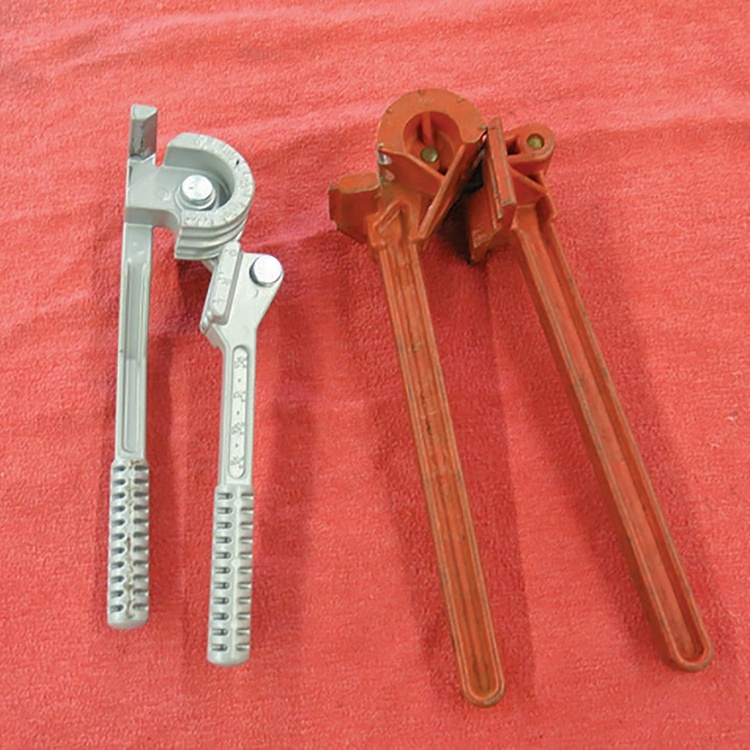 And I highly recommend the Ridgid one over the ones that look like the one in the picture below. It seems like these are available in many places for $15-75 and they have a lot of minor differences that make them much less effective. I have the big Eastwood flare tool and love it. That said, it ain't cheap. I got tired of dealing with leaking flares - tool budget doesn't count against the project, right? What is the fail on the harbor freight version? Can it be tweaked to work right? IMO, if you're reading GRM and are the kind of person who makes brake lines, you'll end up making the other lines that the mastercool set can do. the quality and finish of your flares for critical applications is well worth the price. I've used all but the RIGID versions shown. (no relation to mastercool/ COI). in retrospect, I waited too long to buy mine (about 15 years ago). There's definitely an argument to be made for just ponying up for the nice tool. My primary one is that I'm going to need to totally redo the lines on the RX-3 since they've been open for 30 years. I guess the question becomes is it 250 dollars better than the Eastwood 25304? 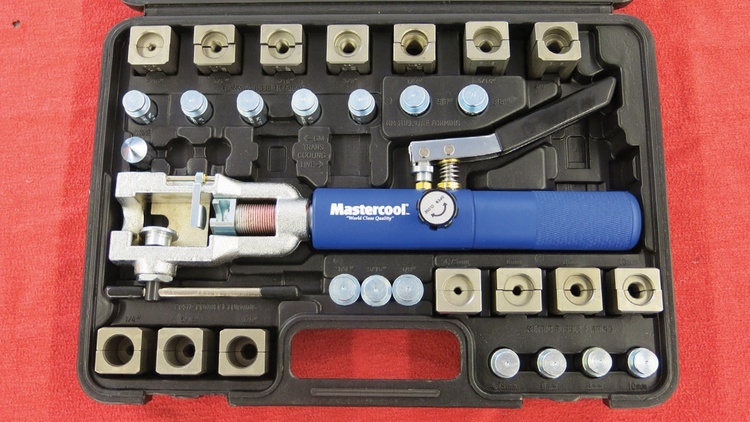 I'm certain the Mastercool tool is considerably easier to use than the Rigid tool (that style is irritating on a good day and GRM stated as such), but how much better is it than the intermediate step? The disadvantage to the Eastwood is that it's vise-mounted, so you really can't use it on a line that's still installed on the car. Other than that, my experience has been that it's as easy to use as the Mastercool and produces results of similar quality.